Join us to hear from local travelers Joan & Mark Wierzba to hear about their recent trip to Mexico to visit three Monarch Butterfly Sanctuaries! 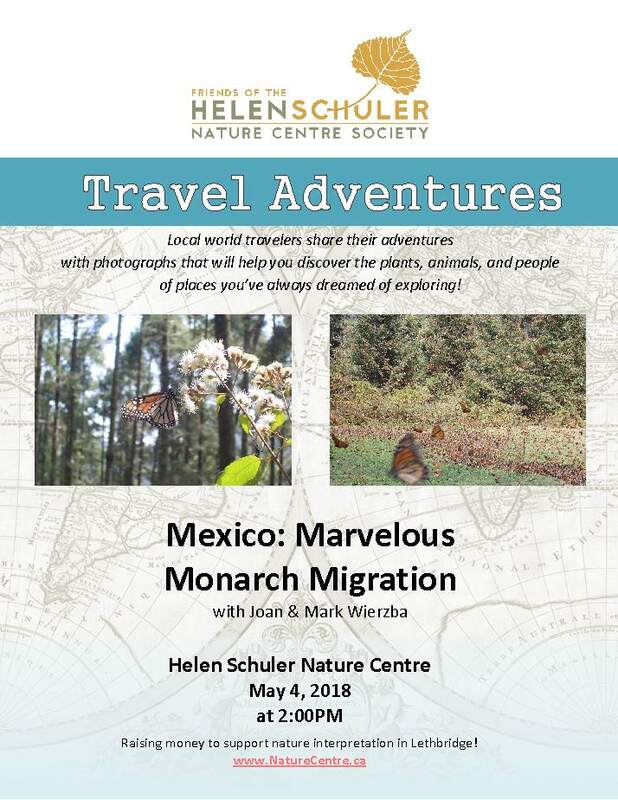 This presentation will provide a great overview of how to get to Mexico on a budget, how to leverage the local tourist circuit to get to/from the Monarch sanctuaries, what to bring, and when the best time to visit in order to see millions of monarch butterflies. Everyone is welcome to attend! Admission is by donation. All funds raised will support the Helen Schuler Nature Centre and nature interpretation in Lethbridge.